We are so excited to tell you that we made it home just three days before the first day of school for our kids! We are happy beyond words to be back in our house in time for the kids to start school! We have been insanely busy trying to get our house back in order after being away for over ten months, but we are loving every minute of it! Tricia continues to get stronger, although she is still having trouble putting on any weight. She is getting her rehab in at a local gym. We are returning to Duke about twice a month for checkups and other appts. Tricia's latest bronch showed that her new lungs are continuing to improve. 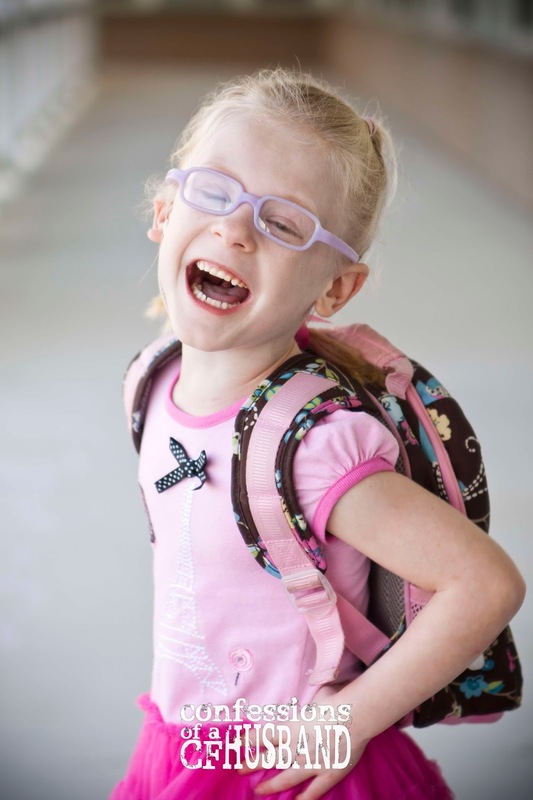 Gwyneth is LOVING Kindergarten! She has been talking about it for what seems like forever, and she was so excited the first day. She recognized a few friends the first day and has made several new friends. We're very encouraged to see how much she is learning and growing already! It's hard to imagine that we've been gone for ten months. Our last memories of being home were from this time of year last year, so everything seems like it just happened yesterday even though it has been an entire year...it's a very odd feeling. So many things have changed while we've been away, including several new neighbors (with kids!) who we are getting to know. We have been able to enjoy a few days at the beach and are catching up with friends. Life is slowly returning to normal. We have so many people to thank for the past year of our lives, including those of you who continue to read and pray and encourage. This has been, by far, the most difficult part of our journey to date. I'll write more about this later, but while we prayed and hoped, neither Tricia nor I realistically believed that she would survive this past winter and spring. So many obstacles were place in her way, and yet, God continued to bless us far beyond what we could ever deserve. We continue to hold the Duke staff in the highest esteem and are so thankful for their amazing knowledge and care and for the way God used them to bring Tricia back to life. To Tricia's two donor families, wherever you are, whether you ever read this or not, thank you. We're nearly at two month post-transplant, and I am sorry I haven't updated in a while. With Tricia feeling strong enough to do more for herself, we finally have our little family back together for good for the first time since October, and we have all been busy just being together. Tricia continues to avoid all major setbacks. We did find out a few weeks ago that Tricia's left diaphragm was paralyzed during surgery, which is making breathing more difficult than it should be. There is a good chance that it will not fix itself, and surgery has not been discussed, which means she may never experience breathing as fully as she could have with a healthy diaphragm. Along with her already atrophied muscles, her breathing continues to progress very slowly (but we are thankful for the progress!). Tricia still has her trach, is still on a few breathing treatments, and we're still using a suction pump to help bring up secretions from her lungs. She is still on humidified room air when she sleeps to help keep her lungs moist since she isn't breathing through her mouth/nose. All of these will come to an end soon, but until they do, we will remain in Durham. Tricia was expecting to have her staples removed this past week, but the surgeon decided to wait a while longer to allow her incision to heal. She was a little disappointed, as removing the nearly 100 staples across her chest will allow her more mobility, but she's tough enough. We were given permission to travel home the past few weekends. It was AWESOME to be back on the beach for the first time since October and spend some quality time with family and friends. Tricia is about 3/4 of the way to graduating from her physical therapy/rehab, but again, with her recovery starting point at transplant being so low, we don't expect to be home for good before the first of August. Our goal is to be home by the beginning of the school year in mid-August. All in all, we are very happy with the progress, even though we always want it to move faster. Thank you for your continued prayer! One month out from transplant today. Tricia continues to slowly improve. We are finally beginning to tell that she is definitely getting a little stronger...she is walking with a little more pep in her step and a bit further every day at physical therapy. Her doctors are satisfied with her progress, and her lungs continue to look good. Her bronch last week showed no signs of rejection, and she is back for another bronch today. Tricia has had a bit of bleeding from her lungs, and she continues to bring up thick mucus. Her doctors tell us that because she was so weak, her lungs will improve more slowly than most. Her transplant and chest tube incisions are healing well. It will be another few weeks before they remove her staples and her trach. Her appetite finally began returning a few days ago, and she is able to eat several very small meals a day. She continues to be on tube feeds, but as we've discovered the past several months, she probably won't gain any weight until she really begins eating more. Her body is still healing, using a lot of energy to do so, which means the weight will pick up once the healing process slows down as well. Tricia will have the gastric emptying study on June 20. This test will determine if she has acid reflux which will determine if she needs a Nissen Fundoplication (what people call a "stomach wrap"). Acid reflux, which can result in acid entering and damaging the lungs, can trigger rejection. Tricia did not need this surgery after her first transplant, and it's possible her rejection was triggered by acid reflux. Most CF transplant patients at Duke need the stomach wrap. If she does need this surgery, it could delay our return home by a few more weeks. As always, thank you for your continued prayer. Tricia was discharged around 3pm today. No chest tubes and only one IV medication every eight hours give her a real sense of freedom. She is still receiving humidified air via an oxygen concentrator when she's at rest, but only to keep her new lungs nice and wet. Sometime in the next few weeks, her doctor will remove her trach and the more than 100 staples that helped close her chest incision. Thus begins stage two of the transplant recovery. She'll relax for the weekend at the hotel (four laps around the parking lot gets her mile walk in, we discovered tonight) and then back to the grind at Duke's Center For Living on Monday for about five weeks of rehab. Her biggest goals right now are to strengthen her breathing and add some weight (and avoid infection and rejection). Tricia has now lost well over 60 pounds in the past 18 months and is as thin as I've ever seen her, including during her first transplant. She's got a long, hard road ahead of her to get back to where she is feeling healthy, but if anybody can do it, she can. If all goes well, Tricia will be discharged tomorrow (Saturday). She has been walking a mile consistently and has all but the last two small chest tubes pulled. She is still in some pain and is still very week, but we're excited about having her "home" with us after a little over a month in the hospital. She'll be back to The Center For Living on Monday to begin her five weeks of physical therapy/rehab, and depending on setbacks and another possible procedure the team may demand, we could be home as early as mid-July. We are so thankful to God for Tricia's donor and the team at Duke. These lungs seem to be an absolute perfect match for Tricia, and we know that without the amazing surgeons, doctors, nurses and other staff, she would have never made it this far. Tricia still needs prayer, as she's certainly not anywhere near "healthy" as we'd like her to be, but we are excited about how well she is doing and are so thankful for your support. Tricia was moved to a bigger room a few days ago. Most of the rooms in the hospital are incredibly small, but four of the rooms on this ward are bigger than the rest. This might not seem like a big deal, but for us it was a huge blessing. She had her first big bronchoscopy yesterday. She has been having bronchs nearly every day in her room, but they've been short and simple. Yesterday's bronch took place down in the bronch suite downstairs under anesthesia. They took a long look at everything and cleaned the lungs out and took some biopsies to check for rejection. We have yet to hear anything, so we're assuming everything looked good. Tricia passed her second swallow study this morning, which means she should finally be able to drink liquids and possible some soft foods. We've been told if xray and blood gasses look good today, they may pull a few more chest tubes. She has four remaining. When I arrived this morning, Tricia was without an IV poll for the first time in several weeks. She is down to just a few doses of IV meds/antibiotics a day, so she can now go several hours at a time without being connected. Again, might not seem like a big deal, but it means a lot more freedom and mobility for Tricia. She is still in some considerable pain, mostly due to the remaining chest tubes and the atrophy of her muscles. She is walking a bit further every day, with her best being 14 laps two days ago (yesterday was a wash because of the bronch). There is also talk of removing her trach before she is discharged. The first transplant, Tricia kept her trach for a few weeks after she was discharged. In other news, Tricia was the first of around a dozen transplants over the past two weeks. They always seem to come in waves. The surgical team has been busy, and we have seen several friends join us on the stepdown unit, for which we are thankful. 7:42pm - Everything went well. The surgeon was able to clean her out and says her lungs are looking good. They were able to reopen a small part of her previous incision. She is in a lot of pain, probably from being bent over backwards again on the table. Praying for good sleep tonight so she can get back to walking and recovering tomorrow. Tricia is going into the OR around 4pm today for a minor procedure to extract some clots around her lungs. Risks are there, but nothing we're too concerned about. It may take a few hours and if all goes well she'll return to stepdown. Here are a few details about the surgery and some info about the game plan, with a few comparisons to her first transplant in 2008. But first, here's something that I thought was cool. On the days of both the 2008 and 2013 transplants, Tricia was in the same room, 7813, when we received the call and when she was wheeled into the OR, she had the same nurse, BJ, she had the same respiratory therapist, Boyd, we received the initial call at almost the exact same call in the morning and the confirmation call for surgery at almost the exact same time in the afternoon, Dr. Lin was on call for surgery and told us afterward that each surgeries was one of his most difficult. Talk about deja vu! Surgery was eleven hours, First surgery was nine hours. There was more bleeding because of scar tissue, so the removal of the old lungs took longer. 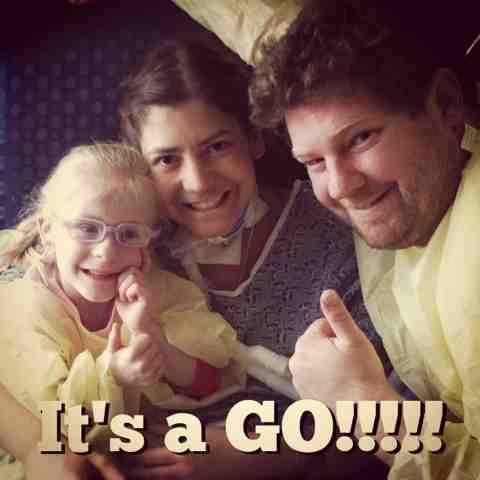 Tricia was off the vent within a few hours after surgery, and out of ICU within 36 hours. It took her a few days to get off of the vent and over a week to get out of the ICU the first time. She started with nine chest tubes, and has had three pulled so far. Chest tubes allow all the fluid that accumulates after such a major surgery to drain. There is more bleeding and drainage than the first surgery. Chest tubes cause a lot of pain, so she looks forward to having them pulled, even though the pulling is painful. She has an epidural for pain meds that will probably be removed today or tomorrow. Tricia is experiencing a lot of nausea, which is slowing her down. She hasn't walked yet today because of it. We're hoping this might go away when they change her pain meds. She is still on a feeding tube. She passed her first swallow test, but will need to pass another before she can eat or drink anything. She still has her trach, but has a Passy Muir Valve that allows her to speak when she wants. You might remember that she had some nerve damage to her left vocal cord from her first surgery that left her voice very raspy and week...she ended up with an implant that fixed the problem. No problem with her voice this time around. Tricia is having a bronchoscopy procedure nearly every day in her room to check for infection/rejection and to clear any mucus that she is unable to cough up. She also has an xray and other tests daily. So far, the doctors have seen nothing to be alarmed about. Gwyneth and I have spent several hours each day with her in her room. Her mother is here as well to be with her. Unlike the first time around, she is able to sleep well alone at night, so we are all getting good sleep back at the hotel every night. She is much more relaxed and less anxious than the first time, most likely due to the fact that she feels so much better. Tricia is still very week from being in bed and on the vent for the past few weeks. Her progress so far has been very very good, but slow. Compared to the first time, she came out of surgery feeling amazingly good. Everyone is very happy with her progress so far. If all goes well, she'll be out of the hospital within 2-3 weeks after surgery. She was out at three weeks the first time. 1) Walking at least one mile daily which is about 21 laps around the stepdown unit. So far she's up to about 6-10 a day. 3) Able to cough, especially cough up the secretions that she is currently needing the bronchoscopy/suctioning for. 4) No signs of infection or severe rejection. They won't let her go if she's just going to get sicker at home. So far, so good. Once she is discharged she'll be back to the Center for Living to complete 24 days of physical therapy. Once she completes that, and is deemed healthy enough, we can finally go home! Tricia is continuing to do incredibly well. She spent all of yesterday off any kind of supplemental O2, meaning she is breathing completely on her own for the first time since early October. She also walked thee laps around the hall without any O2. Her saturation did drop during the night while she was sleeping, so she may be given a little bit of O2 for the next few nights. She has been sleeping well the past 48 hours, which is very important to recovery. She had one chest tube pulled and has had some of her bandages removed. All tests and bronchs have shown no signs of infection or rejection, which is great news. Both of our kids are here with us this weekend, so I've been busy. Sorry for not being able to update the blog as often, but I am able to update Twitter and Instagram a few times a day from my phone. Different family members are coming and going to spend time with Tricia, so I've been able to spend extra time with the kids, which has been nice. They like to hang out in Tricia's room and play on the extra large window sill when we're all at the hospital together. We have a great view out the front of the hospital and get to see lots of helicopters and ambulances. I'll try to post another update ASAP about what needs to happen in the next few weeks for Tricia to be discharged, although it's basically the same as five years ago if you want to go back and read. Thank you for your continued support and prayer! The first few days after Tricia's first transplant were rough for her (if you go back and read my several posts from just after her first surgery in April 2008, you can compare with what's going on now), so we expected the same this time around, especially since the transplant team warned us several times how difficult the second time around can be. BUT, Tricia has amazed everyone these first 36 hours. She was awake and off the vent within hours, and walking by the end of the day. She felt and looked incredibly good from the start and continues to improve, and this afternoon she was moved to the stepdown unit and placed on what they call a "fast track". She is not out of the woods yet, but the past few days have been very promising and we're praying she'll avoid any setbacks and be released from the hospital within the next 2-3 weeks. The medical team has amazed us once again. Tricia's first surgery five years ago was about nine hours long, and was, according the Dr. Lin, one of the more difficult lung extractions he'd ever performed. This surgery was no less than 11 hours, and Dr. Lin again told us that it was an incredibly difficult extraction. Tricia gave him a big hug today and told him he was her miracle worker. She also told him how thousands of people were praying for him during the surgery, for which he said he was very thankful. So, thank you. Surgery successful. Went as well as possible. Tricia in ICU. Hard part starts now. Please keep praying. Tricia rolled into the OR around 5pm. Surgery could take up to 10 hours. Five years ago was 9 hours. Second transplant surgery and recovery is more risky. Thank you for praying for the donor family tonight, wherever try may be. We received another call this morning around 10am. We won't know anything for sure until late afternoon, and I'll be sure to update. Thank you for praying for this donor family. As I explained in my last post, Tricia's breathing was becoming more difficult over the week, and around 2am on Saturday morning she was brought back up to the ICU. She was looking and feeling rough, but by Saturday afternoon was doing better. They changed some setting on her vent and gave her a few meds to help her catch up on some sleep. By this morning she was looking and feeling much better, maybe even as good as any tie during her Duke stay the past few weeks. The plans are to try to get her back to stepdown tomorrow if she is the same. It's very surreal to be here again. So many things are the same. We're just two doors down from the room we lived in for three months while waiting for a transplant just over five years ago, so our view out the window is nearly identical. So many of the staff are the same, hospital food is still iffy, Tricia is experiencing many of the same things she experienced then. Breathing has slowly been getting more difficult for Tricia since being placed on the vent. The first few days were a relief from the BiPAP, but the past few days have been difficult for her. Sleep has come in short spurts. She began experiencing some chest pain today, haven't heard back about the x-ray yet. We were both reminded of the collapsed lung she experience the day before her first transplant. I'm really not sure how much more she is willing to tolerate before she asks for medication that will put her status on the list in jeopardy. But, the team continues to tell us that she is at the top of the list and to expect lungs at any moment. Thank you for your continued prayer. Tricia has been "stable" the past few days, and just a few hours ago she was moved to the stepdown unit. This is a huge blessing. Gwyneth is very excited about seeing mommy in the morning! Other than that, we are just waiting for new lungs. The past seven days have been quite the roller coaster. Starting with the dry run, a trip to the ER, seeing how quickly Tricia deteriorated, and now seeing how much better she feels on the vent all in the past week. As I mentioned last night, Tricia was intubated and placed on the ventilator yesterday morning. She was observed for a few hours to make sure she accepted the vent well, and then given a tracheostomy. She was fully awake two hours later and breathing so much easier. Everything went perfectly, and she literally looked and felt like night and day between yesterday morning and last night. If you were with us five years ago, you'll remember that she was on a vent for about 3 months from Gwyneth's birth until a few days after her transplant. Again, she is unable to speak because she has no air flow through her nose/mouth and through her vocal cords. My lip-reading skills are returning to me quickly. You might also remember that Duke had very little experience transplanting a ventilated patient five years ago. And, you might remember that Tricia was one of the very first patients at Duke to be placed on a brand new vent setting. It's a setting called Proportional Assist...they told us that they literally wrote the book at Duke using Tricia as a guinea pig. (You can read more about the vent setting HERE.) What we didn't really understand until yesterday is that they now use this vent setting for many of their patients and after Tricia's transplant have had many successful surgeries off the vent and are much more comfortable doing so. So, when I was guessing that she would be taken off the list, it was a wonderfully ignorant guess. Tricia is now on the top of the list, and we are very confident that she will receive a call for good lungs very soon. She will remain in the ICU at least through the weekend, and we're still praying that she can be moved to our very familiar step-down unit as soon as possible. The staff in this ICU are amazing, but sleep is difficult and visitation is restricted. The two things beyond great medical care that help Tricia the most are sleep and spending time with family and close friends. Modern medicine and prayer are a powerful combination. Thank you all for your continued prayers. Tricia is still very sick, but we are full of hope, at least for today. Tricia slept well last night and woke up feeling better and breathing more easily. Her team met and decided to go through with the intubation, ventilation and tracheotomy procedures. Everything went smoothly. They assured us that she will remain on the transplant list for the time being. Tricia woke up a few hours later feeling and looking so much better. She is breathing easy on the vent, happy to be still on the list and feeling better, and was even back to exercising within a few hours. They'll have her up and walking tomorrow. Tricia is still very sick and in a very precarious situation, but today started well and ended better, and we feel that we've been given some extra time and hope. Today was a huge relief. We are beyond thankful for everybody at Duke who is taking such great care of Tricia, and for all of you who are praying for her. 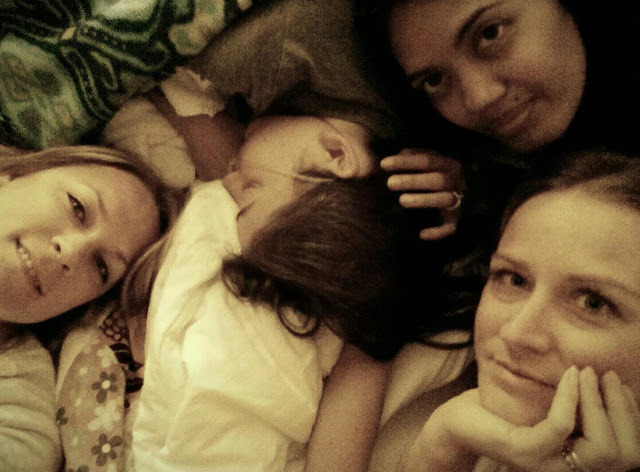 Tricia is now in her third day in the ICU. Here is a quick list of what we know. She has remained on the BiPAP. The hope was a little time on the BiPAP would allow her to be able to regain some strength and go back to the nasal cannula, but the few times they have tried, her CO2 levels and blood pressure have jumped back up. With the BiPAP all of her vitals are at a safer level. All tests have come back negative so far. It's good that she may not have an infection, but not good that we don't yet know what has caused this sudden decline. We are still waiting on a few more tests to come back. The assumption is her rejection has caught up with her and killing her lungs. She remains on the transplant list, and I've been told she is basically at the top. This is common at Duke, when a tx patient becomes very sick and admitted to the hospital, to bump them to the top of the list to try and receive new lungs ASAP. We could receive a call at any time. And she needs new lungs right now. Although she is complaining that her breathing is becoming more difficult, she appears to be stable. But if she declines at all, she will most likely be intubated and placed on a ventilator. The chances of coming off the ventilator are slim, and although I haven't talked with the team yet, by guess is they would not be willing to transplant her while she was on the vent. They have an intubation procedure scheduled for 10am tomorrow if it's needed. Overall, Tricia is unrecognizable compared to a week ago. It's crazy now to think she was walking laps and pumping weights on Friday. She has been sleeping almost constantly since arriving and has only gotten out of bed a few times for a minute or two at a time. Although she is aware of where she is and what's going on, you wouldn't know it by talking with her. She has the BiPAP mask on, so she can't say much, and her mouth is so dry and tongue swollen that it's difficult to understand her anyway. As long as she is sleeping, she is relaxed, but any time that she is awake, she is extremely uncomfortable and anxious. All of that to say, the chances that Tricia will make it out of the hospital without new lungs are incredibly small. Short of another miracle, either she gets new lungs now, or her struggle will be over soon. We are praying for an immediate call for new lungs and praying that she will stay off the vent for as long as possible so we can continue to pray and wait. Myth - Doctors, EMS etc. will not do as much to save my life in a medical emergency if they know I am an organ donor. Truth - All medical professionals are sworn to keep the Hippocratic Oath which basically states that they will do everything within their power to maintain the life of the person they are serving. It makes zero practical, medical and ethical sense to "allow" one person to die (in this way) so that others might possibly live. Organ donation is never a sure thing for the recipient, and every single medical professional I have talked with about this subject (either on a professional or casual level) has given me complete assurance that they could not imagine anyone ever giving teeth to this myth. When you are in a medical emergency, their complete focus is on saving your life. In fact, people who have agreed to organ donation are given more tests to determine that they are truly dead than are those who haven't agreed to organ donation. Please, read more about Organ Donation Myths. I'd hate to think that the only thing keeping somebody from becoming a donor is a lie. Myth 2a - Even if I never tell anyone, as long as I am registered as an organ donor on my driver's license and the medical personal are aware of that fact, my organs will be used. Myth 2b - Even if I am registered as a donor on my driver's license, my organs will not be used unless I tell my closest of kin of my wishes and they are able to follow through. The truth and false to these two myths really all depends on what state (in the US) you live in. Up until recently, Myth 2b was true for every state. If your next of kin either could not be contacted or was unwilling or unable to confirm your intent to be a donor, the indication on your driver's license meant nothing, legally. The family ultimately had the final say. 1) They help to insure that the wishes of the deceased are carried out. 2) They help take the pressure off of the family to make the final decision. 3) The make the entire organ recovery and donation process easier, quicker and safer, insuring that recipients have a better chance of survival. 4) They increase the number of available organs. It is still incredibly important, no matter what state you live in, to notify your family of your wishes, even if it is just to help them be prepared. Take a few minutes to Click Here and discover how you can become an organ donor in your state of residence and how to help insure that your wishes are carried out upon your death. Read more about Organ Donation Myths. Myth - A deceased donor and/or family will be charged a medical fee for the organ recovery/removal. Truth - There is NO cost to the donor and/or family for organ OR tissue donation. In fact, the cost for organ recovery is charged to the organ/transplant recipient. The donor/family will be charged for any and all final efforts to save the donor's life, and sometimes those bills are misinterpreted as costs related to organ donation, but, again, the cost of organ donation is the responsibility to the recipient, NOT the donor. Organ Donation Myth #1: Will the Doctors Save My Life? Organ Donation Myth #2: Is My Driver's License Enough? Myth - An open casket funeral is impossible after organ donation. Truth - Unless you plan on being naked at your funeral, organ donation does not effect an open casket funeral in any way. In fact, throughout the entire organ recovery process, the deceased body is treated with the utmost respect and care, in large part to insure that an open casket funeral is possible. Even bone, skin and eye donations are completely undetectable under normal circumstances (again, if the body is clothed and eyes are closed). Organ Donation Myth #3: Will It Cost My Family and I Money to Donate? Tricia arrived at Duke yesterday morning around 7am via ambulance. For the past 5-6 days, her breathing has steadily become more difficult. She has also had increasingly severe headaches and nausea. I suspected she was experiencing high CO2 levels. Shortly after arriving at the emergency room, she was placed on a BiPAP machine. Within an hour, her headache was gone, and within 5 hours her CO2 level had dropped from above 100 to 80. Normal CO2 levels are between 30-40. Around 3pm Tricia was moved from the ER to the ICU. She'll stay on the BiPAP for as long as needed. If she continues to show signs of improvement, she could be moved out of the ICU to a step-down unit. The doctors believe she may have a virus which has weakened her lungs to the point that she can't exhale properly to discharge the necessary amount of CO2. She is being tested to determine if she does have a virus and has been placed on some antibiotics. Landing in the ICU is never a good thing. It can be very difficult for somebody in Tricia's condition to recover, and although the ICU is the "best" place to receive the treatment she needs, it is nearly impossible to relax and sleep. We are praying that she'll be out of the ICU as soon as possible. Thankfully, the transplant team is keeping her on the list, and they are hopeful she'll receive another call very soon. Nothing speaks encouragement like three girlfriends traveling eight hours round trip to spend less than an hour with a sick woman to pray, hold her puke bucket and run fingers through her hair until she falls asleep. Several people have expressed their disappointment, sadness and even anger about yesterday's dry run, but please don't be sad or upset for us about yesterday. We honestly were at perfect peace about the dry run. We did not get overly excited, and we certainly didn't feel any sadness when we were told it wasn't going to happen. The staff we worked with were all very kind and took great care of Tricia while we waited, and we made a few new friends. It happened on a Saturday, so we had nothing on our schedule and the hospital wasn't busy so we didn't have to wait for anything Tricia needed. Our kids were back at home to celebrate a cousin's birthday, so we didn't miss any time with them. The weather was nice outside, so we drove with the windows down on the way home. Tricia got a good nap in afternoon and I got our place cleaned up a bit. Three of Tricia's best friends drove eight hours round trip just to spend a few minutes with Tricia last night and this morning. All in all, it was a good day. Yesterday happened exactly as God planned it, and we're not disappointed about it at all. Whether new lungs come yesterday or tomorrow, even if they don't come at all, God is good all the time, and He knows the plans He has for Tricia. Thank you for your prayers today and for the future. Nearly everybody waiting for a transplant experiences at least one dry run. And, in our opinion, we'd rather have no lungs than bad lungs. Today turned out to be a dry run, even though, for a few minutes, it looked like it was a go. We received the word that the lungs were good around, but just a few minutes later got another call that the lungs were no good. Being told the lungs good and then no good isn't the norm, but we're thankful for the team doing their due diligence to protect Tricia from anything less than suitable for her. Unfortunately, we assume that means the lungs weren't good for anybody, but that doesn't mean other organs from the donor weren't used for other people waiting. We'll continue to thank God for this donor and his/her willingness to give and to pray for his/her family. The fact that we received a call this quickly is incredibly encouraging, and we're praying for another call very soon. Honestly, we are neither disappointed nor frustrated. God's timing is perfect, even when the results aren't want we want. We received a call this morning at 7am that a pair of lungs is available. We are at the hospital now waiting for the final yes/no. Very possible it could be a dry run. Thank you for praying for the donor family. I'll update as soon as we know more. Tricia has had several good weeks, including increased strength and an extra pound or two, and today we were informed that she is officially back on the transplant list. Her allocation score is higher than it was back in the fall when she was listed, which means she is higher on the list, so we are praying that everything will fall into place before she has another setback. She begins a new med tomorrow and needs to show no signs of an allergic reaction, so you're welcome to pray about that as well. Thank you so much for your prayers that have helped so much to get Tricia back to where she needed to be to be relisted! And thank you to the Duke team...even when we were both nearly ready to give up several weeks ago, they continued to tell Tricia to hang in there and give us hope that she could be relisted. It's been five years. Five years that we will never take for granted. Five years ago at this exact moment I was getting settled in for a long night, awaiting the word that Tricia's double lung transplant surgery had been successful. Hundreds, maybe thousands of people, mostly strangers stayed awake with me, reading my blog updates every few hours, holding their collective breath, praying for Tricia's second first breath. I know it's been frustrating for you who care so much for Tricia for the past several months as the blog has been quiet. For reasons I won't share, we felt it best to use only Twitter and Facebook to update about Tricia's health, and we deeply appreciate your patience. Tricia's health has very slowly continued to decline since arriving in Durham in mid-October. She is down to 100 lbs, her breathing numbers are severely low, and she is very, very weak. She has had several different kinds of setbacks which have kept her from being re-listed...signs that her body is shutting down. Tricia has been working incredibly hard, participating in physical therapy as much as her body will allow. This journey has been incredibly difficult and frustrating for her. We believe that the end is coming soon. Either she will be relisted because she become a "now or never" case, or the transplant team decides she cannot be re-transplanted and sends us home. We are not ready to be told "no"...as I've explained before, very few people get this second chance to begin with, and we are thankful that Tricia was given this opportunity, for which we are thankful. It is amazing that Tricia has survived this long, through the winter, and until the team sends us home, we have some hope. But, as I said, all the signs are pointing to the fact that a decision will need to be made very soon. Tricia is not ready to end this. Although ultimately I believe we will both be able to accept God's will for this situation, Tricia doesn't want to leave her family, and I certainly don't want to continue this life without her. We need your prayer and encouragement that the next few weeks will provide us with the clarity to see things as God sees them. We are praying that Tricia will hit her weight and strength goals and that the setbacks will cease so that she can be listed and transplanted as soon as possible, and if not that God will give us peace. Thank you so much for your support over the years and now. I will update the blog again when I can.